How to Create an Accent Wall with Stripes - GNH Lumber Co. How to Create an Accent Wall with Stripes - GNH Lumber Co.
Want to make a bold, unique statement? Stripes that go up-and-down make a room with low-ceilings look taller, where horizontal stripes give a smaller room a more spacious feel. And remember, the thinner the strips, the busier the pattern, too. 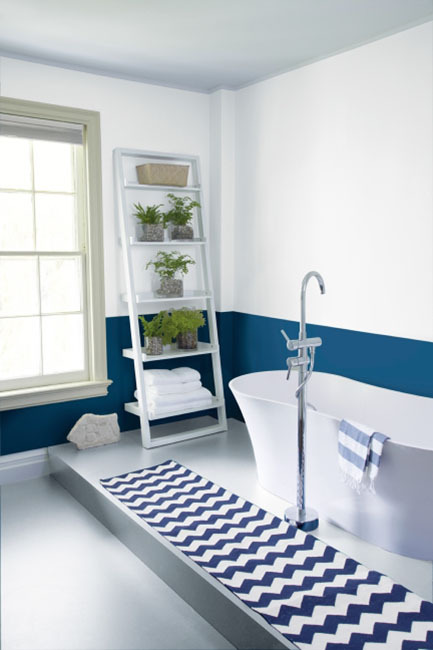 Here are a few tips to paint level, even stripes on your walls. Paint your base color across the entire wall using the lighter and flatter shade of the two colors you picked. Let it dry for at least 24 hours. Figure out your stripe spacing. Choose a stripe width that can be evenly divided into the wall’s width or height. Generally, 4-12 in. is a good width. For vertical stripes, measure the width of the wall and for horizontal stripes, measure the height of the wall. 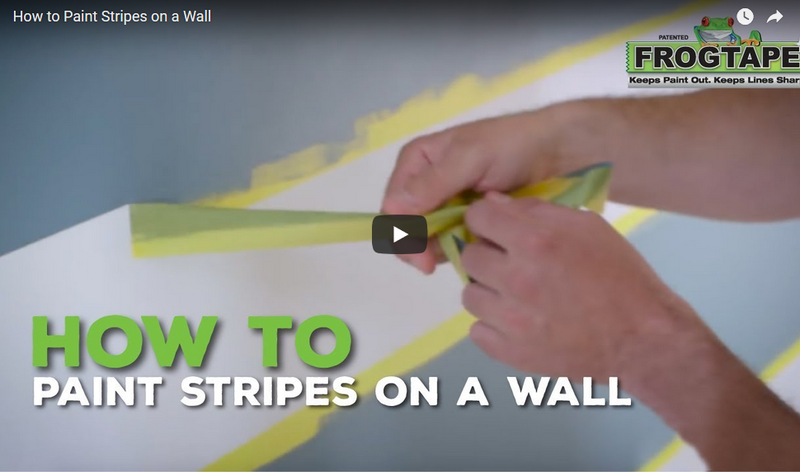 Quick Tip: Paint an odd number of stripes on your wall. This makes sure you’ll get a solid strip at the edges of the wall or ceiling. Create your outline. If using a level and pencil, mark your stripe widths across the wall. With your level, draw a light line continuously across, making sure the level is straight. Mark an “X” where you want your solid stripes to be. Quick Tip: Place your tape on the outside of your pencil line so the paint will cover up any markings. Burnish or seal the edges of the tape. Run a plastic toll along the tape’s edge so paint can’t bleed through. Pull the tape off when the paint is still wet at a slow, 45-degree angle backward toward the wall. Don’t forget to control the end of the free tape so it doesn’t drag along the freshly painted stripes. Painting stripes takes time and patience. Just follow these steps to prepare the space and you’ll be sure to make your stripes look crisp and straight. Planning to paint an interior room? Find the perfect color and SAVE at GNH Lumber, your local source for Benjamin Moore interior paints and painting supplies! We’re always glad to offer guidance, tips or suggestions, or point you in the right direction for just the product needed to get the DIY project done. Just stop by our Greenville or Windham location today!